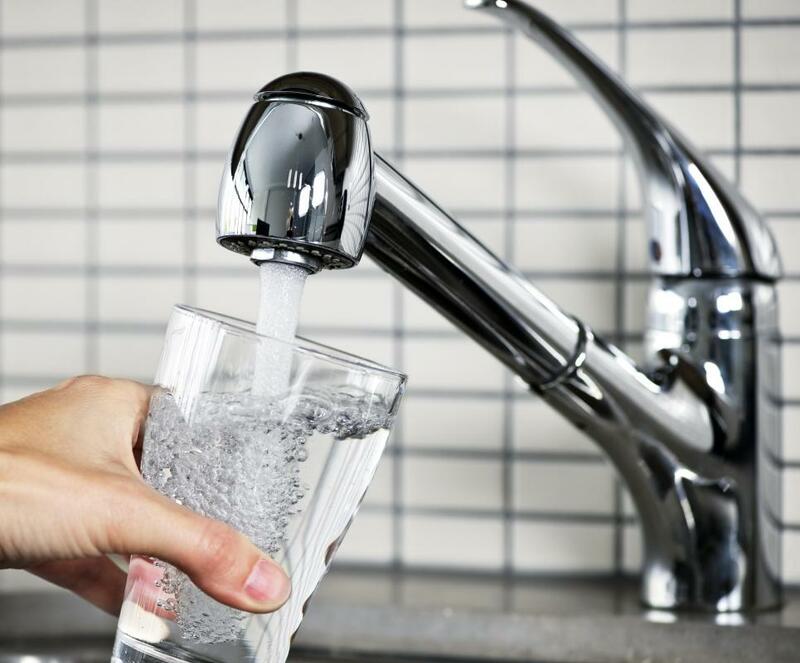 Without the use of an air gap, dirty water could enter our drinking water. Many plumbers prefer to install a manufactured air gap regardless of whether or not a high loop is possible. An air gap is the space between a faucet and the sink rim. An air gap is the unobstructed space between a wall outlet and an open vessel or flood level of a fixture. An example of an air gap is the space between a faucet and the sink rim. This gap prevents the reverse flow of contaminated water from the sink back into the faucet without some modification of the system. An air gap is the most economical method of preventing backflow of contaminated water back into the fresh water system. Without the application of backflow prevention such as an air gap, dirty water can enter and disperse into a drinking water system. If no air gap is present, back-siphonage would occur if the water supply in a house loses pressure and the sink is higher than point at which the water enters. This can be illustrated by attaching a hose to a faucet and submersing the hose into a sink filled with contaminated water. Under the right conditions, backflow is possible. When an appliance such as a dishwasher is installed, the discharge hose is looped as high up under the cabinet as possible and secured with pipe straps. This creates an air gap that prevents backflow of water if the pump ceases to function. There are situations that make looping the hose very difficult and impractical, however, and in this situation, the installation of a mechanical air gap is required. Many plumbers prefer to install a manufactured air gap regardless of whether or not a high loop is possible. This is because it provides more protection against the backflow of water. The continuous connection in the case of a high loop installation can still potentially allow back-siphoning to occur, even though the likelihood is low. To prevent back-siphonage of dirty water into the water system, many plumbing codes require backflow prevention. Plumbing inspectors are often required to analyze these fixtures to ensure that they have bee properly designed and installed. An air gap is a non-mechanical form of backflow prevention, and must be twice the inner diameter of the pipe. This fixture should be at least 1 inch (2.5 cm) in diameter in order to qualify. Even though most professionals consider an air gap to provide maximum protection against backflow, it is not always practical. It can be bypassed by plumbers who may not have the patience or expertise to install it correctly. Despite any minor issues involved in installing this fixture, the protection it provides is well worth any installation issues. What Is a Dishwasher Air Gap? What Is a Dishwasher Pump? What is a Feeler Gauge? How do I Start a Plumbing Business? @KaBoom - You learn something new everyday! My grandfather was a plumber so I've actually heard of an air gap before. It seems like such a minor detail but it's amazing how much of a difference it makes in preventing back flow. My grandfather swore by air gaps and always made sure to install them when he thought there were needed. I never knew anything about a dishwasher air gap until recently. My dishwasher pump stopped working and when the maintenance guy came to fix it he explained to me that the air gap was the only thing stopping the back flow of dirty water. I had no idea what an air but I didn't want to hold the maintenance guy up with a bunch of questions. I'm glad I found this article! I'm also really glad whoever installed my dishwasher didn't skip installing the air gap too.